thank you for any help you can respond to me..
Are you open on Monday, April 9th? please respond to: joyce.laderoute@live.ca I expect to be in Edmonton at this time. How long does it take to apply for one? Do I get it the same day? What is the cost? hi! are you open n december 27, or 30, 2013? 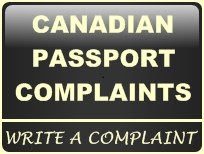 No passport office on argyle. Moved 5 years ago. Please update your information.